I first came across the notion of daily free-writing six or seven years ago, through Holly Lisle, and liked it well enough. Not only the idea of setting aside a little writing time every day, even between projects, was appealing, but I was greatly intrigued by the suggestion of writing continuously and freely, without pausing to censor or edit, never mind what springs up. It was intriguing because my worst writing problem is, I think, a tendency to edit as I write – which slows down things, and narrows possibilities, and all the evils connected with a pushy Left Brain. A practice designed to teach myself to outflank my internal censor seemed too good to be true. So I did try free-writing, using Holly’s prompts at first, fifteen minutes a day. And, shall I be frank? I was a little disappointed. It felt a little like composition, back in third grade… What can I say? 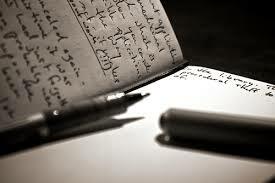 I knew a practice is something you develop, I knew long years of habit don’t disappear in three days – and yet I dropped the free-writing, telling myself that some day, sooner or later, I would go back to it. A few years later, indeed, I tried again, without prompts, giving myself a three pages daily quota – and choosing an unconscionably huge notebook. This time it felt a good deal better, while it lasted. Why that wasn’t long, I have no idea. But it had felt better, and I had free-written a few things I liked. It was mostly a matter of vividness. I wrote scenes, instead of random memories, I wrote in a character’s point of view – and while it was all rather rough-edged and haphazard, there were things amidst the dross. Things I liked and could use. And yet I dropped it again. Was I done with free-writing? Not at all. The next attempt was last year, when I bought myself a copy of Judy Reeves’ A Writer’s Book of Days, a collection of daily writing prompts and advice about free-writing practice. I started on it, and after some rough going, I began to really like what turned up. I was busy with several plays in a row and a couple of short stories, back then, and steadily ignoring a novel abandoned halfway through the first draft. I used the free-writing practice to explore possibilities for the poor neglected thing, and as a general playground, and several things happened: the product of one particular free-writing session evolved into what is perhaps my best short story to date, good ideas and plot solutions acquired the habit of blossoming on my dedicated notebook, and I observed that, when I began with free-writing, I wrote more and better during the day.Great, isn’t it? And why would I ever dream of dropping such a helpful practice? But, believe or not, drop it I did. Again. It seemed to me that I was taking time away from “true” writing… And there was this uncanny way in which, as soon as I sat down to it, something, anything would happen to interrupt… None of it really good reasons, but I dropped it again, and that was that. Then, on New Year’s Day this year, I took out my Reeves, and started again. I was planning my new novel, the one I’m currently writing, so I began to put every prompt to good use for that – tweaking a little those that really don’t go with my time period. Well, I am still doing it. I write scenes or character sketches, I experiment with voice and point of view, I play around with ideas – in longhand, three pages a day – and more often than not, I find myself with something that requires little more work before it goes in the first draft. 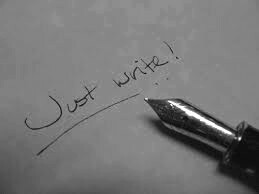 I won’t say I do it every and each day, but it’s becoming a steady habit, and there’s no denying it: when I begin by free-writing, then I write more and better. Shall I keep it up this time? By now it is established that I haven’t got the sense God gave little green apples – but who knows, maybe I’m learning. Free-writing is good. Free-writing helps in many ways. Free-writing works – with a vengeance. A practice I discovered reading Nathalie Goldberg’s “Writing Down the Bones”, one of the books about writing I’m most attached to. It’s a good exercise, and really helps set the gears in motion and helps the words to flow. I use a nice – and powerful – tool called Red Notebook. My hand has been pronounced pretty to look at, but illegible. Still, I do read it, and free-writing is one of those things I still like to do in longhand. I’m not over-fond of Nathalie Goldberg, but clearly all roads lead to free-writing – or at least a good deal of them do. Writing instruction – and practice – have to be in tune with the personality and inclinations of the writer.